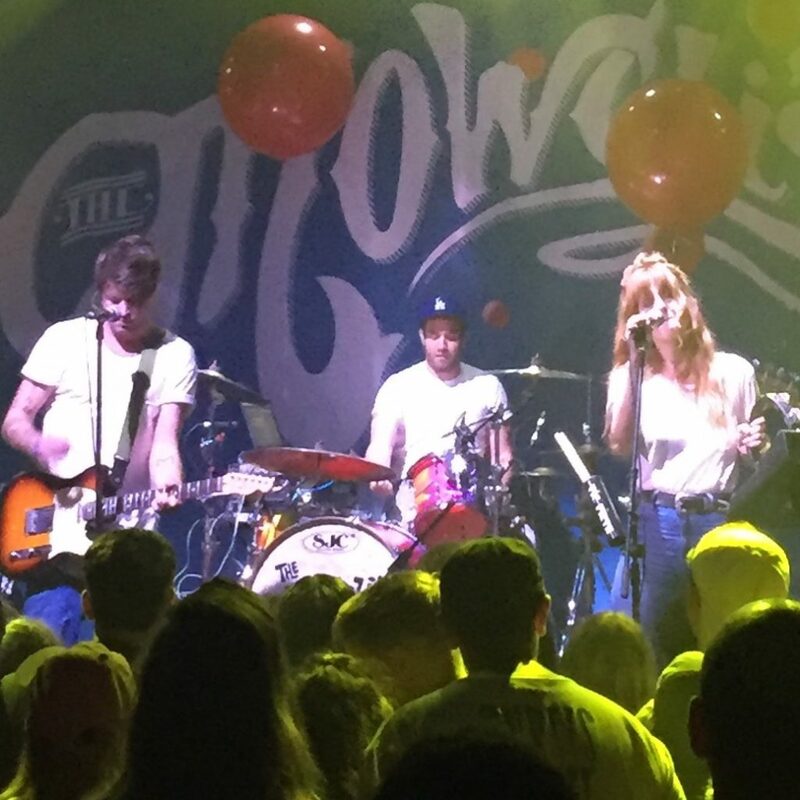 Saturday night was a wash out but there was high energy and excitement for The Mowglis show at The House of Independents in Asbury Park. If you have not checked out this venue I highly recommend it as it is a sweet space to see bands. The newly redesigned amphitheater has great acoustics but a smaller venue, intimate feel. There was a line of kids standing out in the rain waiting for the doors to open promptly at 7 pm. After a few minutes we were able to get out of the rain and warm up in the cozy lounge. We took a lap and went down to the floor and waited for the first band to hit the stage. The crowd was mix of tweens, teens, twenty somethings, and parents. Watching them throughout the show you could tell this band was a favorite. First up was The Mosers. This Asbury Park trio played to a small crowd but they kept their attention with their witty banter and their infectious alt rock. There inviting sound was reminiscent of Weezer meets heavy high energy. Next up was Dreamers. This Brooklyn based rocked the house with their dance infused cosmic rock. Tracks “Pain Killer,” “Sweet Disaster,” and “Wolves” were high energy numbers that made me think of them as INXS meets Nirvana, with a little Gaslight Anthem. Their sing-song choruses and anthemic melodies brought a lot of sunshine to this rainy night. It was exemplified by the glee in the crowd by their dancing and singing alone to each song. They also jammed out playing a Killers and Four Non-Blondes “What’s Going On” covers. At one point in the show the lead vocalist just stopped the song so he could switch instruments and play bass instead of guitar. For me it was kind of awkward but watching the crowd they did not seem to care and the show went on without a hitch. Throughout the show the band members showed their talents through multi instrumentation. Together they put on a great show that enthralled the audience. For more information on The Mowglis check out their official website, Facebook, and Twitter pages.